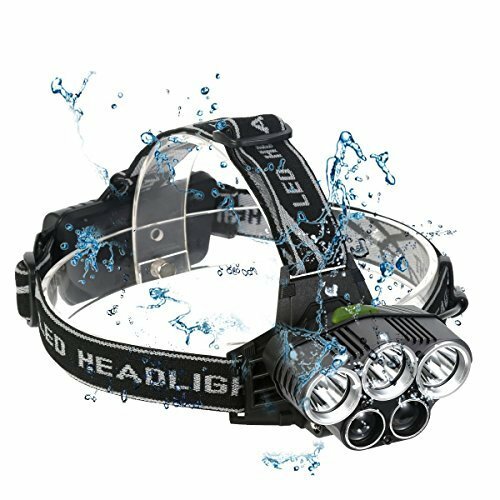 The Powerful Neoligh LED Head Torch is a real beast! It is actually really good, and provides a perfect solution for this problem, since of course it is always shining where you are looking. IPX5 Waterproof standard protected against splashing water from all angles. No need toworry about in all kinds of rain weather, we still can use normally. This LED head torch increases the charging indicator, LED red alarm function independently, make your life more safe. The stretchy headband provides you more comfortable feeling when wearing it directly on your head. Also you can wear it on many kind of hats, like baseball cap, construction hardhat or some motorcycle or cycling helmets. • Please remove the plastic film wrapped on the batteries before using. • Be carefully check the negative and positive of the battery compartment when loading the batteries, wrong installation will cause a damage on product and smoking. We're so confident that you'll love this light that it's high quality and our best customer sercives. If there is any quality problem about our product, we will provide a full refund or send you a replacement. So please contact us if you have any problem about our product. If you have any questions about this product by Neolight, contact us by completing and submitting the form below. If you are looking for a specif part number, please include it with your message.